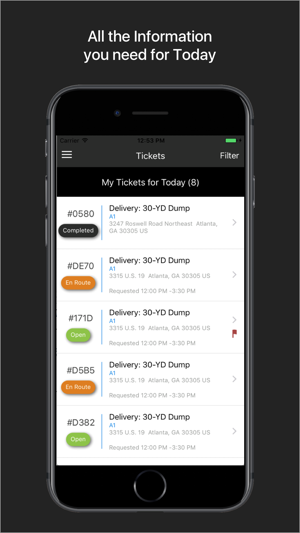 Thumbster Connect is a cloud based software geared toward helping you run your Roll-off Dumpster or large rentable asset business more efficiently. With features such as map based routing, GPS fleet tracking, container tracking, and many more. With Thumbster Connect you will be able to utilize the latest technologies to run your business more efficiently while keeping all team members on the same page. The Connect platform eliminates wasted time, wasted materials and wasted labor. 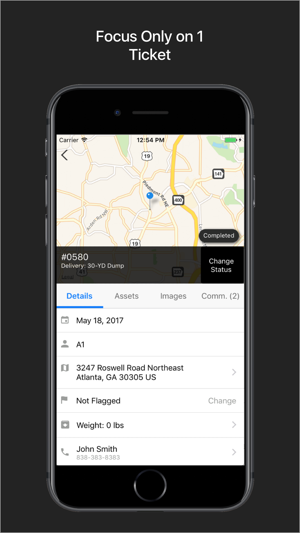 With Thumbster Connect, all departments ranging from owner to dispatcher to driver are on the same page. 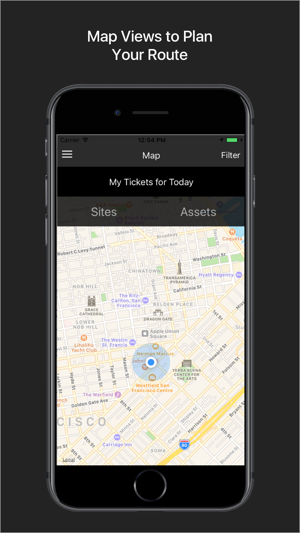 Note: Thumbster Connect allows, but does not require, drivers to share their location when the app is running in the background- this requires the device's GPS system. Continued use of GPS running in the background can dramatically decrease battery life. Started using this software about a month ago. Really easy to use. Helps us track our dumpsters and keep up with customer information. Wish it had a billing component but they are saying it will integrate with QB in near future. So far so good!